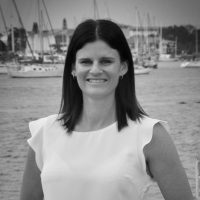 Hayley Hanks has been with Elders since May 2014 in various roles with the company from Leasing Consultant to Sales Support. Now sitting in the role of Finance Manager, she overseas the general office and trust accounts along with supporting General Manager Robyn Gleeson. Hayley has been a Port Macquarie resident of 38 years. Her clients are quick to praise her communication skills and ability to problem solve. She also prides herself with her attention to detail. Hayley loves working in our busy growing office, with every day bringing new challenges to solve and people to assist. Her greatest triumph is helping people with all things real estate, which is a huge passion of hers. Would you like to speak to Hayley?